Before this evening, I had heard of Pesky J. Nixon, but I had never seen the band perform live. 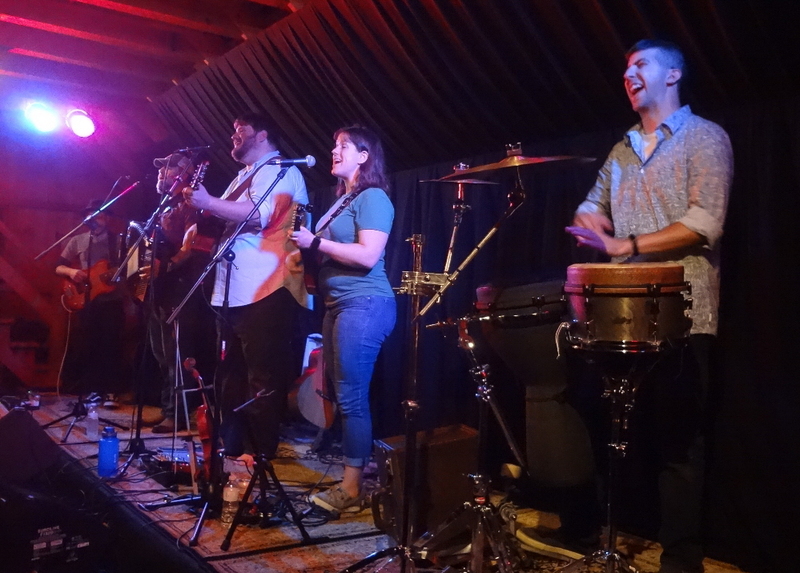 A regionally touring folk band, Pesky J. Nixon plays locally occasionally, but they were just one of many top bands I hadn’t yet fit into my schedule. That changed last night. 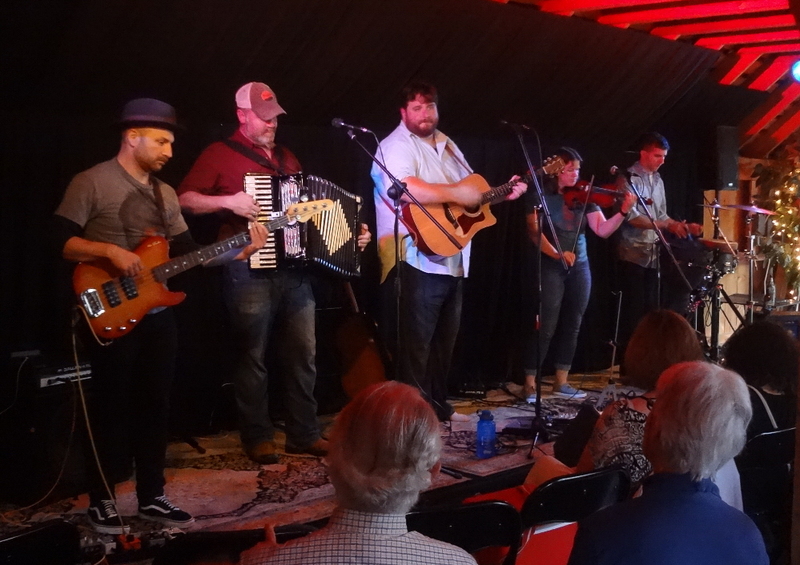 Featuring two options for lead vocals, an accordion, and a mandolinist/fiddler, Pesky J. Nixon can cover a variety of musical real estate, centered on folk. The group shines when it features its immensely strong vocal harmonies. And its sense of humor, especially live. An evening with Pesky J. Nixon is a lighthearted affair featuring a cadre of top-shelf musicians. The amazing Ansel Barnum joined the band for the final song of the opening set, the smooth, lilting original “Breathe in Autumn.” Ansel would play on the final three songs of the second set, as well. Second set highlights included a cover of Ryan Adams’ “Two,” steeped in the band’s exceptional musicianship and strong energy. 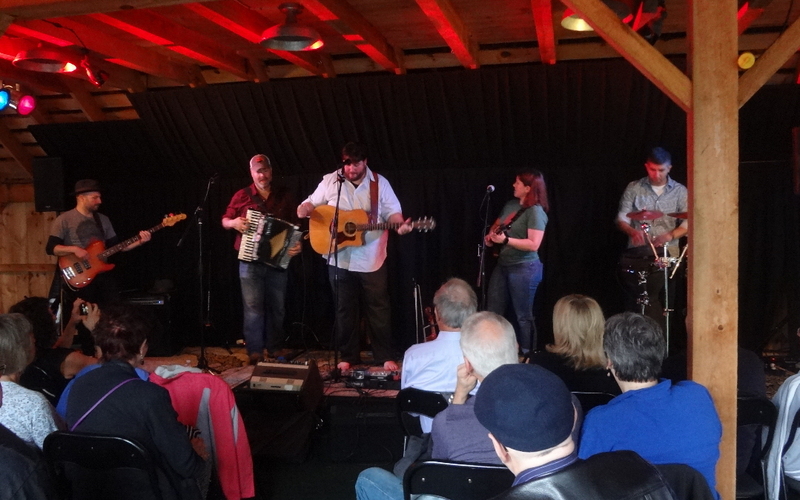 And the following song, a cover of Jimmy Ryan’s “John Brown,” in which the accordion and drums drove the rhythm, harmonies and co-lead vocals added texture, and there was a mandolin solo. Indeed, this performance of “John Brown” ticked all the boxes of a great Pesky J. Nixon song, cover or original. The cover of Jeffrey Foucault’s “Americans in Corduroys” was a more sentimental number, an easy song to just close your eyes and soak into. The return of Ansel Barnum closed the evening with three more crowd-pleasers. First, a Pesky J. Nixon original, “Anna Lee” dabbled in harmonies, accordion, and harmonica. No, I wouldn’t call it bluegrass, either; we’ll just say it’s bluegrass-inspired and leave it at that. 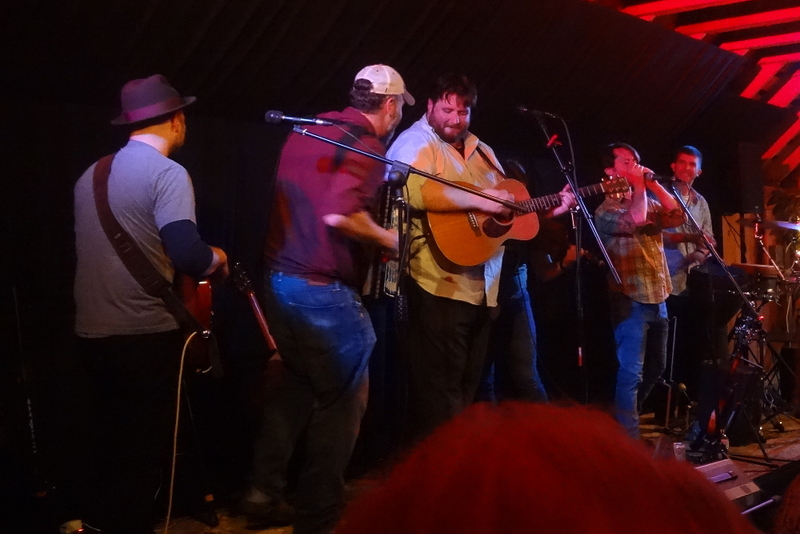 Next up was an energetic, fun, rollicking rendition of “Talk About Heaven,” a Tim Gearan tune on which Pesky J. Nixon brought its most intense energy of the evening. And the “encore” was a real treat. A melancholy, nostalgic, wistful folk rendition of… “Girls Just Want to Have Fun.” Complete with singalong. Did I mention that sense of humor? Indeed, though mostly present in the between-song banter, clearly it also creeps into song selection. Truly, they did a heck of a job with it. 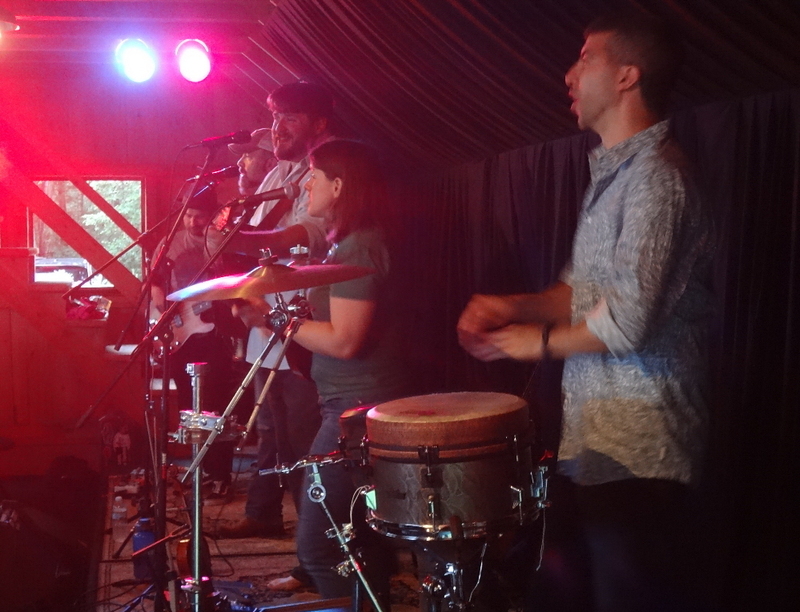 And it drew to a close an exceptional evening of folk and folk-adjacent music from a talented band. Pesky J. Nixon lists four upcoming shows on the band’s events calendar, though I’d suggest checking back as more gigs are added. First, on June 25th, the band will perform with Miles to Dayton as part of the Sunday Street Acoustic Series at the Long Island Museum in Stony Brook, NY. 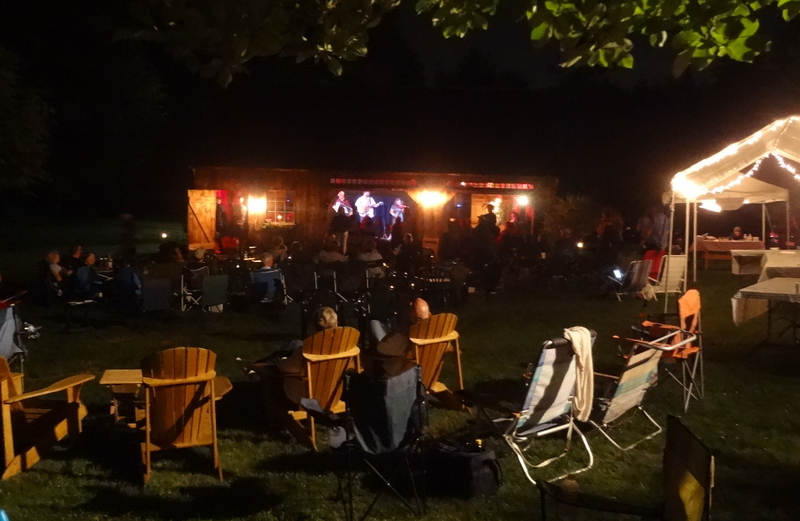 Next up, they’ll take part in the Falcon Ridge Folk Festival August 3rd-7th in Hillsdale, NY. On September 15th, they’ll be local again, joining the Durham County Poets at the Amazing Things Arts Center in Framingham, MA. And on September 23rd, you can catch them at Common Ground Community Concerts in Hastings-On-Hudson, NY. 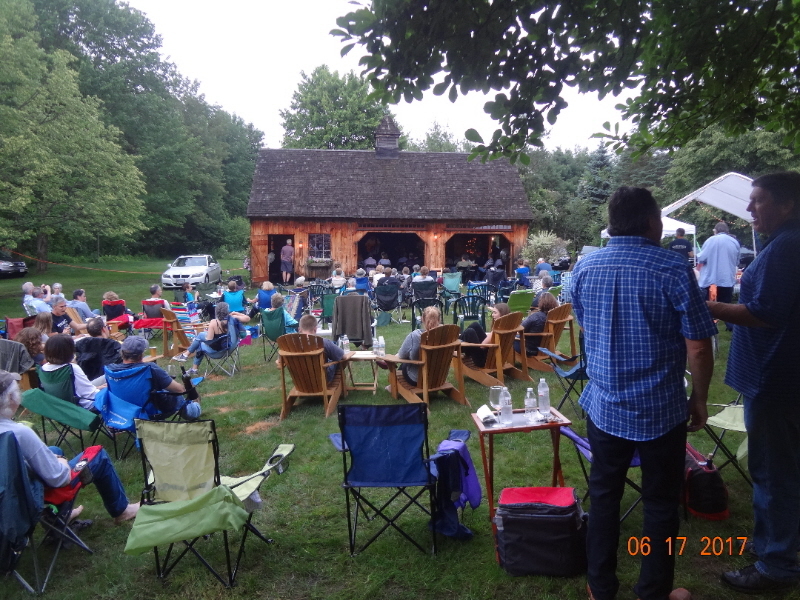 Front Street Concerts has four more concerts currently scheduled this summer: Peter Mulvey on Thursday, July 13th; Andrea Gillis & Marc Pinansky on Saturday, July 29th; Danielle Miraglia on Saturday, August 12th; and Tim Gearan on Saturday, August 19th. This entry was posted in Live Reviews and tagged Geoff Wilbur, Geoff's Night Out, Live Review, Pesky J. Nixon. Bookmark the permalink. Thanks for the review! You nailed it. Thanks so much Geoff. I barely got to share a nod with you the other night. That is the bummer about running around to see if everything is “all set”! How do I link your blog to my newsletter? I want people to be able to sign up with you. Also, can I copy and paste this or a link to my newsletter. When I hot “copy address” it is one ya “reply to wordpress” Thanks. There’s a link to follow the blog via e-mail at the bottom of the right column if you’re on the PC or at the bottom of the page if you’re on a smartphone. Nice to see you briefly. Will see you guys again at Danielle’s show. And hopefully somewhere around town before then.